You would have to live under a rock not to recognise the name Graham Norton from his popular UK talk show. When Holding was published several years ago, I thought “I don’t think so!” Well, more fool me for making such a rude assumption. Holding is set in a small remote village in Ireland. It’s the sort of place where everyone knows everyone and their business. On the surface, all appears pretty boring and routine, until human remains are unearthed on an old farm. With the discovery of these bones, memories are stirred and old hurts and grievances rekindled. Although this is a contemporary novel, there is a sense of time having slowed in the village of Duneen, with few concessions to the 21st century embraced. The town guard, Sergeant PJ Collins, is considered by many in the community as a bit of a joke. At 53 years of age he has never had a real relationship, lives alone at the police station and is so fat he struggles to fit behind his car steering wheel. There is little scope for police work in a tiny community like Duneen, until now. Working with Detective Superintendent Linus Dunne, sent from Cork to lead the investigation, PJ discovers a renewed sense of purpose and starts to earn the respect of the community. This is a cleverly constructed murder mystery. But it’s more than that. 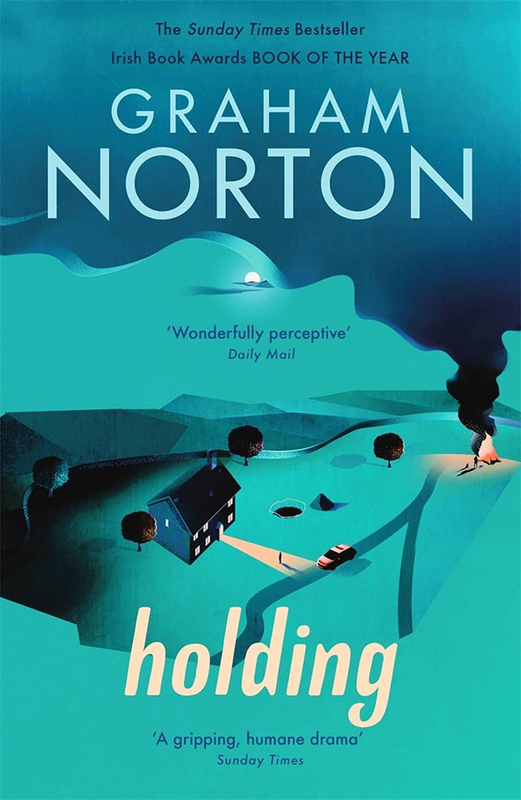 Norton has successfully created a (small) world, populated by real people, not just characters, who struggle with the results of past indiscretions, but who also grow and are enabled to look to a future with hope. I read Norton’s second novel, A Keeper, before Holding, which is also written with empathy and compassion. (They are separate stories, so it makes no difference what order you read them in.) I am waiting with keen anticipation for his next novel.